An influential national think tank has launched a report aimed at addressing the economic challenges facing ordinary working families, building on work started in Nottingham. 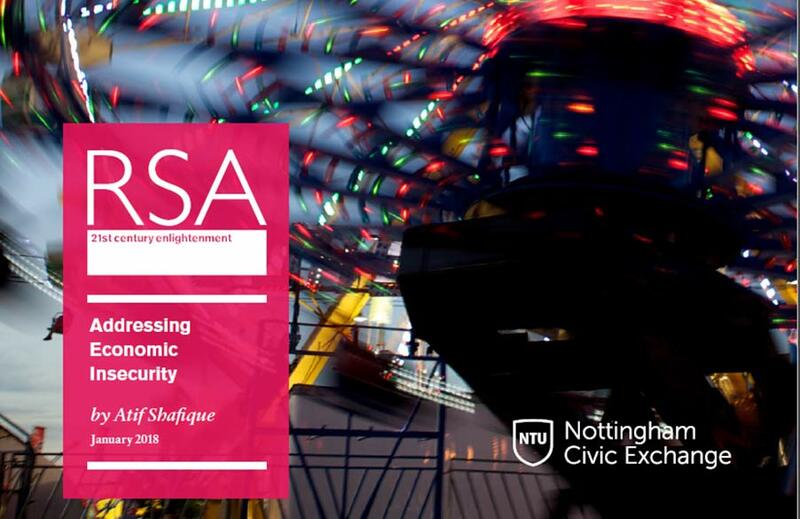 The report, launched in Nottingham by the RSA today (Jan 12), is part of the Out of the Ordinary partnership programme between Nottingham Civic Exchange, based at Nottingham Trent University, and the RSA. The programme has a focus on Nottingham and Nottinghamshire with a broader objective to influence policy at a national level. In its report the RSA argues that economic insecurity – harmful volatility in people’s economic circumstances – has not been properly looked at and as such policymakers have frequently misdiagnosed problems and consequently provided inadequate solutions. Report author Atif Shafique, Senior Researcher at the RSA, said: “Having a job is no longer a guarantor of economic security: more than 7 million people in working households live in poverty, wage growth lagged behind inflation for most of the last decade, and close to 8 million people in the UK live with problem debt. “Ten years after the crash, and we need a step-change. Community, place, identity and personal responsibility all have an important role to play. "But to help ordinary working families take ownership of their lives, local and national policy-makers must reshape policy around economic security too: we must be more strategic in when we intervene, preventing problems before they happen, and more expansive in who they help, as automation and other challenges affect people across the income spectrum." 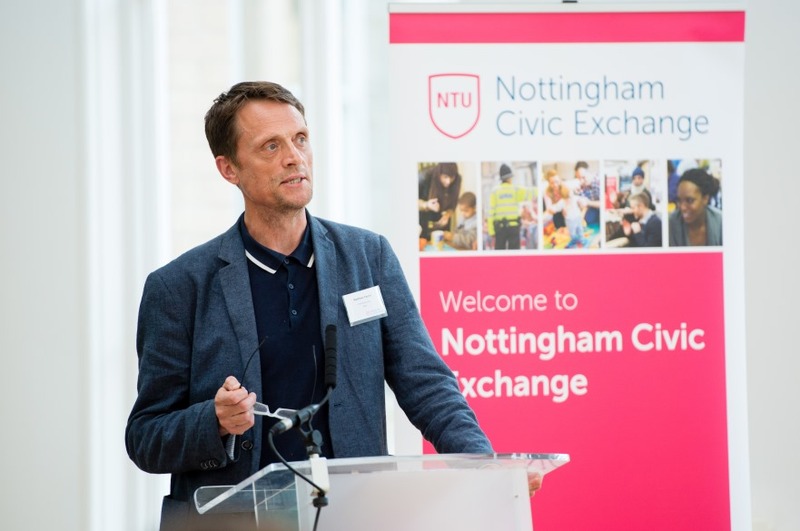 RSA Chief Executive Matthew Taylor will chair a panel at Nottingham Conference Centre this morning which will look at the detail of the report and in particular the three long-term and three short-term recommendations it sets out. These recommendations would reshape the way national and local governments and other agencies view and approach policy setting – particularly around issues affecting ordinary working families. As policymakers increasingly discuss Ordinary Working Families it is important they understand the way that economic insecurity impacts their lives and that the subjective element of how people feel is important in this. Using three key policy areas as examples – health, housing and welfare, and labour markets – the RSA’s report demonstrates how issues could be viewed through an ‘economic insecurity lens’ to better inform actions and urges policymakers to do so as a matter of urgency. 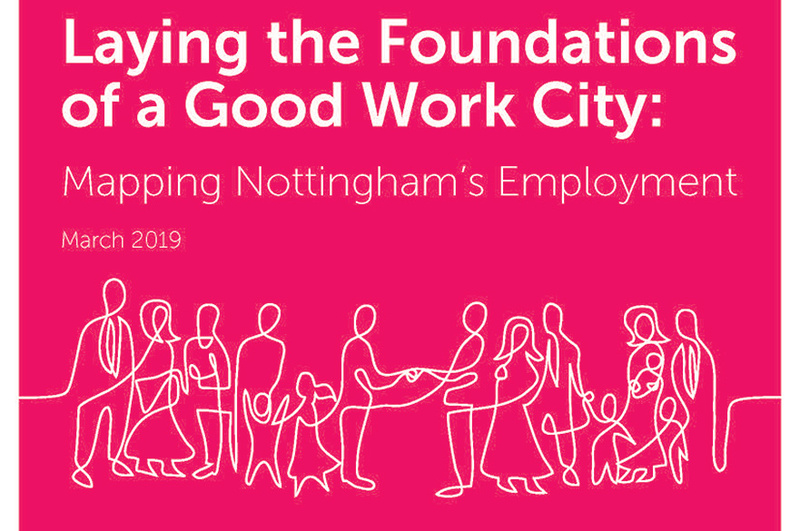 It draws upon and reinforces the findings of initial work by Nottingham Civic Exchange (NCE) into Ordinary Working Families which was released last June. NCE’s report highlighted economic insecurity is a key feature of such households. It also found that how people felt about their financial situation differed from the objective measures commonly used. I hope to highlight the realities of economic insecurity as a single parent and the fact that insecurity is increasingly affecting people on middle incomes and it is becoming harder for each generation. More than 20% of adults in the sample described their current financial position as ‘just about manage to make ends meet each month’. Thirty-two per cent of those ‘just about managing’ in the sample had annual gross household incomes above £34,000, including 12% with incomes above £48,000. Thirteen per cent had incomes below £14,000 while the majority (55%) were in the low-middle-income rage of £14,000-£34,000. The RSA’s work also analysed government policies from 1997 to present which have been targeted at people and households on low and middle incomes, including policies relevant to those ‘just about managing’. 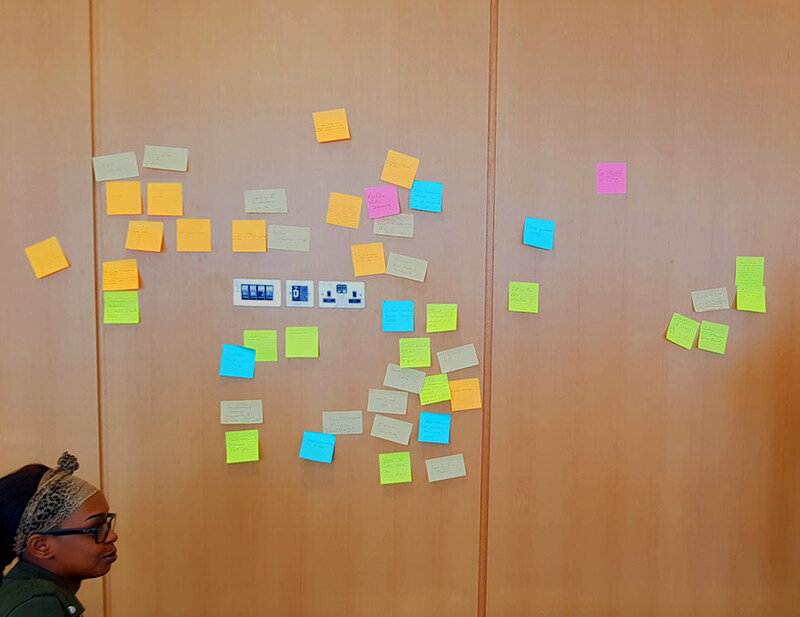 A number of themes emerged including the positive impact of the introduction of the minimum wage (and later national living wage), limited impact of skills and programmes designed to get people back into work. It also highlighted significant inter-generational differences in insecurity affecting people who are ‘just about managing’ – with young people worse off than those who have benefitted from pension guarantees, free travel and winter fuel allowances. The report also criticises ‘low road strategies’ taken by firms who are pursuing short term, cost-minimising strategies which often neglect to invest in up-skilling their workforce, holding back productivity growth and, in low-wage sectors, sustaining a high demand for poor quality jobs. This approach to growth is being facilitated by labour market flexibility and insecurity. As a result of the research, the RSA will make three long-term and three short-term recommendations at today’s launch at Nottingham Conference Centre. The report was discussed this morning by a panel chaired by Matthew Taylor and Polly Tyler – a mature student at Nottingham Trent University and single parent.